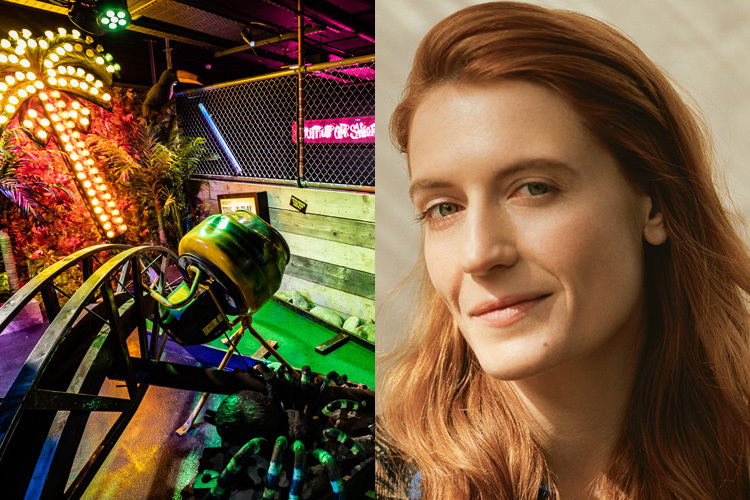 Win A Game At The Junk Yard Golf Club PLUS See Florence + The Machine! This autumn you could be winning the ultimate prize! We have teamed up with The Light to give you the chance to win an awesome game at the new Junk Yard Golf Club PLUS tickets to see Florence + The Machine on 15th November! Grab a mate and start the night off with cocktails for two while you prepare to thrash one another at a round of crazy golf at the brand-new Junk Yard Golf Club. There are three 9-hole crazy golf courses to challenge your mates on, filled with scrap yard slides, wrecked car parts, circus freaks and jungle bathtubs. Once you've hit that final ball and the champion has been crowned, it's time to head to Leeds First Direct Arena where you'll get to watch Florence + The Machine from a suite box. Your box will give you a seated view of the concert and the added fun of a private entertainment area with complimentary bar.